This is a nursing home abuse malpractice case filed on behalf of a man in Howard County. This case was filed in Health Claims Arbitration on February 11, 2016, and it is the 63rd medical malpractice case filed in 2016 in Maryland. The case number is 13-C-106870. This is a nursing home malpractice case. A 93-year-old male is admitted as a resident at Lighthouse Senior Living and is assigned his own private room. After his admission, his son begins to observe traumatic injuries on his father's body. The son questions the staff, who speculates that the likely cause of the injuries are falls. As a concerned son, he begins to leave a video camera in his father's room to see what is really causing his father's injuries. The video shows shocking events occurring one morning involving one of the living centers caregivers and his father. The caregiver is shown pushing the elderly man onto the ground, angrily battering and physically abusing him during the forced dressing of him (while the man was asleep). The plaintiff is also seen in the video as being in shock and visibly shaken after the events that occurred. Soon after this event, he was removed from Lighthouse Senior Living and moved to another retirement home. During his stay at Lighthouse Senior Living, the elderly man is also repeatedly deprived of necessary sleep. On multiple occasions, employees of Lighthouse Senior Living would enter his room at unreasonable early hours and force him to get out of bed and dress. The hours in which this would occur ranged from 4 a.m. through 5 a.m. As a result, he suffered aggravation and worsening of his symptoms relating to his Alzheimer's disease/dementia. The plaintiff brings a medical malpractice lawsuit in Howard County against the nursing home and its employee. Plaintiff alleges that Lighthouse Senior Living, Time Group, and its employee deviated from the applicable standard of care in the custody, care, and treatment through negligent hiring and failing to adequately and reasonably supervise the employees. Plaintiff claims that as a result of the defendants' negligence, he suffered physical and mental pain, aggravation of his Alzheimer's disease, and economic loss incurred in care and treatment by other healthcare providers. Here is the Plaintiff's certificate of merit that highlights. The nursing home's Certificate of Qualified Expert just seems to say don't blame us for what our employee did. This is a hard defense, right? Isn't this a case the nursing home should have settled before a lawsuit was filed? There is a fusion of negligence and intentional tort and some of the conduct is a hybrid. This is not a case the nursing home should be racing to the courthouse steps to try. Clearly, this is not a nursing home negligence lawsuit where there are significant physical injuries. This is a pure nursing home abuse lawsuit. The plaintiff claims worsening of symptoms and such. But that is not what this case is about. The question is if the video shows what the Plaintiff's Complaint (and expert report) what Plaintiff's lawyer says it shows. If it is that bad, even a Howard County jury is going to go bonkers. Will that bonkers turn into a large award? It depends on how bad the video is. But this guy is 93 years-old. It is hard to conjure up a more sympathetic plaintiff. Anyone reading this - and every juror -- could easily be him one day. It is unclear based on what we have who is providing a defense to this caregiver. Defendant's Certificate of Qualified Expert throws her right under the bus. But the nursing home is going to own all of her negligent conduct with this strategy. Did they get a separate lawyer for the caregiver? We are calling Lighthouse a nursing home. We believe it is actually an assisted living facility. 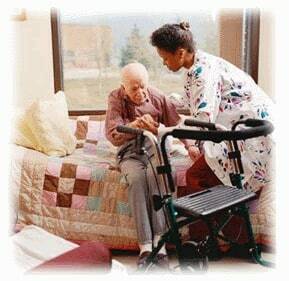 Have you or a loved one suffered as a result of the negligence of a nursing home or assisted living facility? You may be entitled to compensation. Our law firm can help you. Miller & Zois has a very long history of results in medical malpractice and nursing home cases in Maryland, earning large verdicts and settlements. Get an online case review or call us today at 800-553-8082 to speak with a medical negligence attorney who can help you.